These rustic balls are a great way to decorate on a minimal budget. 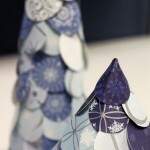 Just grab some paper, some burlap and fabric, a little bit of glue, and you’ll wow your friends with your creative talent! Combining textures and colors will add depth and interest to your centerpiece, and you can add even more variety to your decorative display by making balls in a range of sizes. Burlap is available in a rainbow of colors from the earthy brown tones to more vibrant colors, such as yellow, red, and green. You may be able to find a variety of colors at your local arts & crafts store, but if you are looking for brighter and bolder colors, you can find them online. Choose what color(s) of burlap you want and decide how many balls you would like to make. 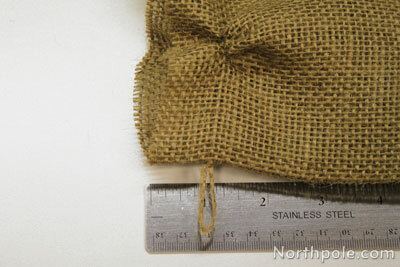 Half a yard of burlap is enough to cover about nine or ten 2.5-inch balls. Tear a piece of Kraft paper about the size of a half-sheet of newspaper. Crumple it into a ball. 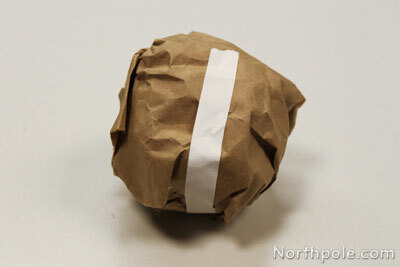 Add a piece of tape around the ball so that it remains a sphere. 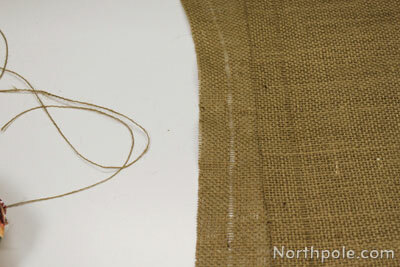 Cut burlap in 1" strips. 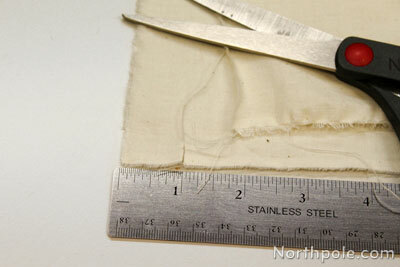 To cut in straight lines, remove a piece of thread 1" from the edge. �The burlap will gather, but gently straighten it out. Once the thread is removed, there will be a visible line in the fabric. Cut along this line. Put a dot of hot glue on the ball. 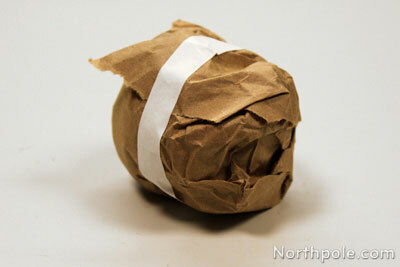 Place one end of the burlap strip over the glue and begin wrapping burlap around ball. 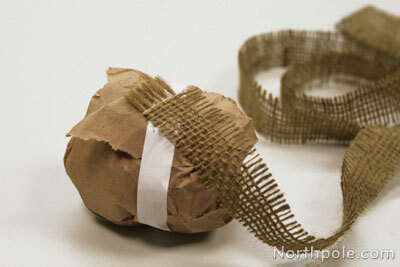 Continue wrapping burlap around ball, gluing as needed. To finish, glue the end of the burlap to the ball. 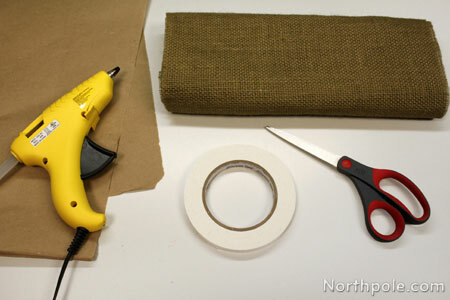 If you’d like to hide the end of the burlap, glue about 1" from the end, then tuck the end under another piece of burlap. Reserve the threads that you removed in step 3. 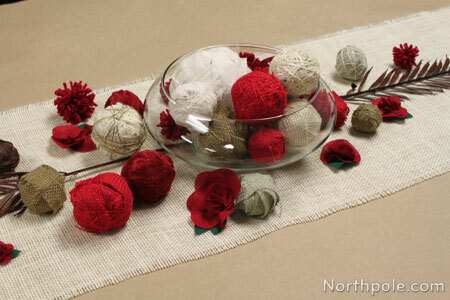 Wrap the threads around ball for a different texture. 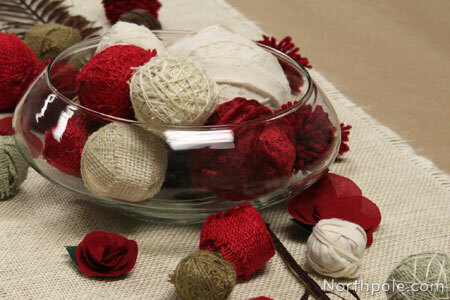 Take a few threads from a contrasting color of burlap and wrap around ball. Choose the material and colors you want and how many balls you would like to make. Half a yard of fabric is enough to cover twelve to fourteen 2.5-inch balls. The remnants bin at the arts & crafts store is a great place to find pieces of fabric at a discounted price, which is perfect for a project like this. In keeping with the rustic theme, we tore the fabric into strips instead of cutting it. The fabric has a softer appearance while still feeling a bit raw due to the torn edges. 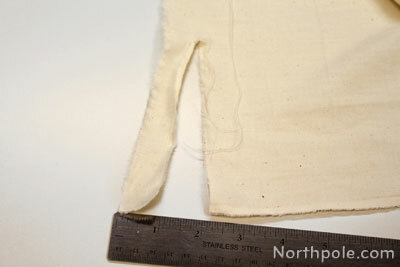 To cut fabric in strips, cut a small slit on the selvage*�edge that is about 1.5 inches long. Next, tear the fabric. This will create a raw, frayed edge. Note: Fabrics like satin will not tear; you will need to cut these types of fabric. Put a dot of hot glue on the ball. 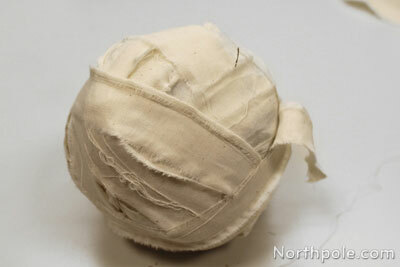 Place one end of the fabric strip over the glue and begin wrapping it around the ball. 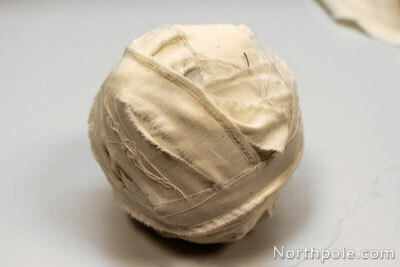 Continue wrapping the fabric around the ball, gluing as needed. 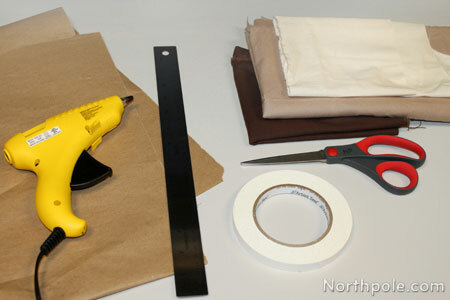 To finish, tuck the end of the fabric under another piece and glue in place. Make several balls, alternating size and fabric to create a variety of spheres. *The selvage edge is the edge of the fabric where the fabric was attached to the loom in manufacturing. If it is a printed fabric, it usually identifies the designer and name of the print. However, if it is an unprinted fabric, there is probably no text printed. Since the selvage edge is woven to prevent unraveling, it is slightly thicker than the rest of the fabric.